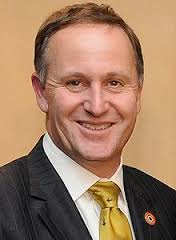 The official Crown apology was offered by Prime Minister Helen Clark [see background] in the debating chamber of Parliament at 2PM on 28 May 2008, apparently the first formal apology ever to be offered in the chamber which means it became part of the official record of the House. "The Crown formally acknowledges the dedicated service of the New Zealand Regular Force personnel deployed during the Vietnam War, and those many servicemen and women who supported them in their mission. Further the Crown records that those armed forces personnel loyally served at the direction of the New Zealand Government of the day, having left their home shores against a background of unprecedented division and controversy over whether or not New Zealand should participate in the war. The Crown extends to New Zealand Vietnam Veterans and their families an apology for the manner in which their loyal service in the name of New Zealand was not recognised as it should have been, when it should have been, and for inadequate support extended to them and their families after their return home from the conflict. Many others also spoke out, often coming under attack from the government and other establishment voices of the time for doing so. Vietnam itself suffered huge damage from the war - to its people, its cities and ports, and its countryside. The consequences there have been long-term and intergenerational. Today we count Vietnam as an Asia Pacific partner, and welcome its leaders to our shores. Today's focus, however, is on those who served, regardless of what our personal views on the decision to send them were. It is time for reconciliation. The Crown is placing on record its respect for the service of the nearly 3400 New Zealanders who served in Vietnam during the war between June 1964 and December 1972. We honour the 37 personnel who died on active duty, the 187 who were wounded, some very seriously, and all those who have suffered long-term effects. The service of those who fell and all who served in that conflict should now be honoured, alongside that of other brave service personnel deployed to other conflicts in the service of our country. For too long, successive governments ignored concerns being raised by Vietnam veterans. It was the emergence of Agent Orange as a serious health and veterans' issue in the United States which began to change the way in which issues surrounding Vietnam veterans came to be perceived and then treated in New Zealand. In 2003 the Health Select Committee undertook its own inquiry into the concerns raised by veterans. It investigated whether New Zealand defence personnel had been exposed to Agent Orange. It also assessed the health risks to defence personnel and their families, and the health services available to them. The Committee concluded that New Zealand personnel who had served in Vietnam had indeed been exposed to Agent Orange, and that this exposure had had adverse health effects not only for the personnel themselves, but also for their children. A Joint Working Group on the Concerns of Vietnam Veterans was established in July 2005, under the chairmanship of the former State Services Commissioner, Michael Wintringham. The Royal New Zealand Returned and Services Association, and the Ex-Vietnam Services Association participated in the group. In their report of April 2006, the Joint Working Group proposed that the Crown apologise formally to veterans and their families for the history of pain and suffering experienced by many of them. That recommendation was accepted as part of a wider package of measures proposed under the themes of Acknowledging the Past, Putting Things Right, and Improving Services to Vietnam Veterans. A range of steps under each of these headings was agreed. Today the Crown has offered a formal apology to the New Zealand Veterans of the Vietnam war and their families. The Crown places on record recognition of the service of those personnel; and acknowledges the many consequences of that service, including the physical and mental health effects. The failure of successive governments and their agencies to acknowledge the exposure of veterans to dioxin contaminated herbicides and other chemicals is itself acknowledged, as is the way in which that failure exacerbated the suffering of veterans and families. The recommendation of the Joint Working Group report that the earlier Reeves and McLeod reports should no longer form the basis for policies towards Vietnam veterans and their families is accepted by the Crown. Finally, there is the commitment to put things right, where government action is the appropriate means of achieving that resolution. The commitments the Crown has made to the treatment of Vietnam Veterans who were affected by toxic environments in Vietnam and to their families are set out in the Memorandum of Understanding of 6 December 2006, and the Crown will adhere to them. In concluding, the Crown thanks the members of the Joint Working Group who provided a way forward for dealing with these troubling issues of New Zealand's relatively recent past. This has led to the opportunity for the Crown to put on record its thanks for, and its apology to, those brave service personnel who became the Veterans of the Vietnam war, and to pay tribute to those who never came home. We will remember them". ** The then Prime Minister exaggerates the truth with this statement: The National party government who had originally deployed New Zealand troops to Vietnam in 1964 had also withdrawn all New Zealand combat troops by the end of 1971, maintaining only two small static training teams [about 30 people total, one training Vietnamese, the other Cambodians]. It is these non-combat troops that the Labour party government withdrew in a rush following their election to office at the end of 1972. Even then, as Noel Benefield [Cpl 1ALSG] commented - NZ Defence planning had already been finalised for the withdrawal of all military personnel from South Viet Nam by August 1972 before the change of Government. The Secretary of the Cabinet was informed in May 1972 by the Minister of Defence that "it would be inappropriate to withdraw the units (Training teams) now at a time when South Vietnam is under attack but that as a general objective and subject to the views of the Australians and Americans both units should be withdrawn by the end of the year". "I rise today to support the apology from the Crown and to offer the gratitude and thanks of the National Party to those New Zealanders who served in the then Republic of Vietnam. I also offer our apologies to them and their families for the failure of the Crown to properly acknowledge or address the results of their service in a toxic environment in Vietnam. Over the eight years' involvement of the New Zealand force, nearly 3,260 New Zealanders served in Vietnam. Some 37 were killed in action and nearly 200 were wounded. At the height of New Zealand's involvement in the war, in 1968, 540 New Zealand troops were deployed. New Zealand has not treated these veterans well. The service they carried out in the name of this country has often gone unacknowledged or been conveniently forgotten. At times, some people showed outright hostility towards them. More often, the personal legacies of their service, for both them and their families, was ignored or denied. They have had to suffer the indignity of two reports – the Reeves report and the McLeod report, both of which reached conclusions that all veterans knew to be wrong. These reports were factually incorrect, fatally flawed, and deeply offensive to many veterans. I wish to state for the record that National rejects those reports as a basis for policy-making now or in the future. In 2004, Parliament's Health Select Committee finally acknowledged what had been long denied – that New Zealand service personnel serving in South Vietnam had been exposed to a "toxic environment"; and that that toxic environment had had a detrimental effect on the health of those veterans and on the health of their children. I would like to acknowledge the role my colleague Judith Collins played in pushing for that Select Committee inquiry. I also wish to acknowledge the role that John Masters played in reaching the point we are at today. John was the last commander of 161 Battery in Vietnam, and it was his perseverance, and finally the map he produced, that proved that New Zealand service personnel had been exposed to defoliants in Phuoc Tuy Province. Without his hard work, the findings of the inquiry would not have happened. Today, as a direct result of that inquiry, veterans and their families are here to receive a formal apology for their mistreatment. But they are also here to remember and commemorate New Zealand's role in a difficult war, and to allow us as a country to finally say thank-you to those who served when called upon. It is also a time for us to remember the 37 New Zealanders who died in the service of their country in Vietnam, and the 600 or so service personnel who have passed away in the intervening years. Vietnam was a war that divided New Zealand, and the period was one of bitter sentiment from some towards those who served. But the New Zealanders who were asked to serve in this war were not responsible for the decisions taken by politicians at the time, and they should not have been treated as though they were. So, to the members of Victor and Whiskey Companies of the 1st Battalion, Royal New Zealand Infantry Regiment; to 4 Troop New Zealand Special Air Service; to the members of the New Zealand joint services medical team; to 161 Battery Royal New Zealand Artillery Regiment; to the Royal New Zealand Engineers; and to those other New Zealand service personnel who served attached to units of the Australian and United States military, we finally say sorry. New Zealand had a responsibility to these people. They were asked by their country to do a dangerous job, and they did so with honour and dignity. The treatment they received, both in Vietnam and then in the years after their return to New Zealand, was unfair and unacceptable. I hope that this apology, and the acceptance finally that New Zealanders were exposed to Agent Orange in Vietnam, will go some way to making up for our previous failings". All other parties in Parliament also spoke in support of the apology. "Governor-General, Vietnam veterans and your families – including Vietnam veterans of Australia and the United States, veterans of other conflicts and invited guests [Australian Minister of Veterans Affairs, US Ambassador, Australian High Commissioner], welcome to this commemoration and celebration paying Tribute to our Vietnam veterans and their families. Our defence involvement in the Vietnam War spanned eight years. This was the longest commitment of our combat forces to a single conflict in New Zealand's military history. Our involvement in the War has had an impact on our nation, those who served there, and their families, that continues to this day. The controversy connected with the Vietnam war was corrosive; it was damning; and for many of the men and women of the New Zealand Defence Force who served there it became noxious. Nearly 4000 New Zealanders served in Vietnam; 37 of them made the ultimate sacrifice, and nearly 200 personnel were wounded. Since the War, others who served have died prematurely, and many Vietnam veterans and their families continue to suffer the after-effects of that service. And that is why we are here this weekend. Tribute 08 is an official and visible show of recognition for the considerable contribution and sacrifice of the men and women of New Zealand Defence Force who served in Vietnam. But today it is the turn of the New Zealand Defence Force to acknowledge your service. I say that you served loyally, you served with honour, and I pledge my determination to correct the failings of the past. Today, the Defence Force emphasizes the principle that ‘we’, those currently serving in our armed forces and veterans alike, are a family bound together by the ethic of service to our country, a common set of values, and a professional military culture that reflects our national heritage and character – a heritage and character you helped create. It is clear that many Vietnam veterans believe that the NZDF has not lived up to these ideals. I want to start to make amends by personally welcoming all of our Vietnam veterans back into the New Zealand Defence Force family. I would understand any hesitation on your part to accept such an embrace. There can be little doubt that you were let down after you returned from the war, and across subsequent decades. Unreservedly I say that the Defence Force did not do enough to assist you, our returning veterans – especially those of you who left the Army, Navy or Air Force soon after returning to New Zealand. Having been placed in harms way, you arrived back to unwarranted derision. From the security of comradeship and service, you went out into an ungrateful and unwelcoming world. Most people cannot start to imagine how you must have felt. The New Zealand Defence Force could, and should have done more to stand by you, to provide you and your families with refuge from the storm of negative public opinion you had to weather. NZDF should not have allowed public concerns about the war to shape how returning veterans were treated. I have also heard you when you have talked about the other issues that have caused you and your loved ones deep hurt and pain. I acknowledge here your concern about the maintenance of your personal and medical records. I believe your expectations around the integrity and completeness of your files were both fair and reasonable. NZDF let you down. Fortunately, your entitlements are protected under the ‘reverse onus of proof’ provisions of the War Pensions Act. The issue of your exposure to the defoliant Agent Orange has been a long and open wound. It is difficult to understand how the critical information about chemical spraying in the areas where you operated lay dormant until the Health Select Committee Inquiry in 2003. As a Defence Force we were too slow in readjusting our position in the face of growing scientific evidence, as well as statistical and anecdotal information. It was probably inescapable that veterans would interpret this inertia as a deliberate rebuff – though certainly the Defence Force’s simple inability to grapple with such a complex issue deserves a good portion of the blame. I believe that various provisions of the Memorandum of Understanding, and in particular the Expert Medical Panel which is about to be established, will help us address this more effectively, both for Vietnam veterans, and for veterans of future deployments as well. 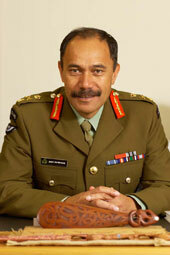 I also want to note the hurt you have told me about the NZDF attitude that was evident around Parade ’98. From my point of view this was certainly a lost opportunity to rebuild the bonds between the Defence Force and veterans. Here at Tribute08 I am sure you have noticed that the serving veterans gathered among us today are in uniform. You will note that they wear the uniform with pride, just as you did. This is a pride founded on your earlier service and the service of all veterans past and present. Unlike the decades immediately following the Vietnam War, the NZDF of today has reclaimed its rightful place, standing proudly amongst the New Zealanders we serve, publicly wearing our uniforms wherever we go. Vietnam veterans have made a valuable contribution to the nation building of New Zealand in many ways. In particular you can be proud of the legacy you provided for the generations of Service men and women who followed you. Your knowledge and fighting skills helped forge the next generation, and lifted considerably the abilities of the New Zealand Defence Force. What has been missing from the balance is acknowledgement that what you left behind has ensured that the New Zealand Defence Force is a valued partner around the world, helping to build and keep the peace. Today we have nearly 700 personnel actively serving in three major theatres around the globe. We are in countries such as Timor Leste, the Sinai, Afghanistan and the Solomon Islands. The contribution of our Defence Force people is helping maintain stable working and living conditions for thousands of people. You helped build the foundation of today's New Zealand Defence Force capability. We thank you for that. On a more personal note, I was a young soldier in the Army during the years immediately following the end of the Vietnam War. My first platoon commander was a Vietnam veteran: then WO2 Baldy Merito. In fact, every commander I have had up until my appointment as the CDF has been a Vietnam veteran. So from a personal perspective I have every respect for our Vietnam veterans. Many veterans I have spoken to consider that they were inadequately equipped for the task they were given in Vietnam. Your record shows you were at least as good as the best troops New Zealand has ever deployed. You also made good advantage of New Zealand's earlier experience in the jungles of Malaya and Borneo. But while our military doctrine and training were proper, some of our kit was not. In spite of this, and in keeping with tradition and with true Kiwi ingenuity, you exploited the military supermarkets of our Allies in-country! At home, the protest and public debate that arose as a result of the unprecedented scale of media coverage of the war and a general belief that our involvement in the Vietnam War was wrong, helped fuel the anti-war sentiment and mass street protests. There were no home-coming parades; you were told not to wear your uniform in public; and compared to other returning veterans there was inadequate support for rehabilitation. In sharp contrast to other veterans of earlier conflicts, our returning Vietnam veterans in effect became casualties in our own country. Perhaps most painfully of all, some sections of the New Zealand public made it clear that they did not approve of those who had served in Vietnam. But the decision to be involved in the war in Vietnam was not made by those who fought there, but by the Government of the day. You had volunteered to serve in the New Zealand Armed Forces and you went to do your duty to the best of your abilities when and where required. You served alongside Australian troops in the best of ANZAC traditions in an even more integrated way than other ANZAC's before you. This has forged a very special ANZAC bond between New Zealand and Australian Vietnam veterans. You also developed a similar rapport with those whom you served from the United States. The Memorandum of Understanding signed with Vietnam veterans in 2006 goes some way towards addressing the wrongs of the past and provides a solid foundation for putting things right. The Crown’s public statement in Parliament apologising for the harm done to Vietnam veterans and thanking you for your immense contribution to New Zealand is another tangible piece of the reconciliation process. The Memorandum of Understanding package, although I acknowledge too late for some, will serve the current and following generations of the Vietnam veteran community. It will also serve other New Zealand veterans both current and future. I would like to make special mention of the tenacious few Vietnam veterans who at various stages over decades have kept the issues alive. You must be applauded for your determination and perseverance against the odds to get the wrongs of the past put right. Your efforts culminated in a Parliamentary Select Committee which confirmed what you had been saying for so long – that New Zealand personnel were exposed to a toxic environment in Vietnam. The NZDF will ensure that no other group of New Zealand veterans is treated the way you were. And one important way we can honour you, is to act upon the lessons you have helped us learn. In conclusion, on behalf of the New Zealand Defence Force, I would simply ask for your forgiveness for our shortcomings in the past, and I apologise for the impact these shortcomings have had on you and on your families. Thank you for your service. Thank you for your sacrifices. Thank you for your contribution to New Zealand. I know it is long overdue, but to our New Zealand Vietnam veterans - welcome home, nau mai haere mai pike mai kake mai." [meaning "Welcome! Welcome! Ascend onto our Marae.."
"As another tangible demonstration of our intentions to put things right, the NZDF wishes to mount a special ceremony. A ceremony that we believe is unique in the history of not only the NZDF but of the Armed Forces of the Commonwealth. The Regimental Colour of 1 RNZIR will be rededicated and re-presented. This ceremony is necessary because the dates of the original Theatre Honour for South Vietnam did not include the operational service of all rifle companies that served in Vietnam. Until now all of the tour by Victor 1, part of the tours of Victor 2 and Victor 5, and all of the tour of Victor 6 have not been acknowledged in the Theatre Honour. Earlier this year, Her Majesty The Queen gave Royal Assent for the Theatre Honour to be amended to cover the period from May 1967 to December 1971 so as to include all of the service of these companies. The embroidery on the Regimental Colour has since been amended accordingly and this change will now be publicly acknowledged." On the dustcover of a recent book on Australia's involvement in the Vietnam War, these words are quoted: “War takes a blender to standards and values .... Men come back and spend the rest of their lives trying to find out who they are ...” The book is titled Vietnam, The Australian War. The author is historian Paul Ham. And it was Harry Whiteside of the Australian SAS who said it. Those who have been there will know what Harry Whiteside meant. But his blender effect spreads wider than those who have been to war and back. Earlier wars in which New Zealand had been involved were accepted by most as both necessary and just, if reluctantly. But this could not be said of the Vietnam War. Somehow in the public quarrels, soldiers got the blame for what politicians had done. Something corroded the standards and values that had been applied on previous occasions to those whom this society had sent into war, and who had returned. This time there was only dismissiveness or worse. Harry Whiteside's blender had done its work at home as effectively as on the battlefields of that particular war. This had added to the hurt bewilderment of those who needed to find normality again. For many it also meant that proper understanding of the causes of illness, and therefore the treatment, would be too long delayed. Governments – a succession of them – were not immune from the blender. Neither was the Defence Force. And, sad to say, nor was the RSA movement itself. A few days ago we heard the Prime Minister apologise for what had happened – or did not happen. That was a remarkable occasion, including cross-party unity made stronger because it was spontaneous. Parliament gave the nation a very strong steer last Wednesday, and we thank our political leaders for that. Today the Chief of Defence Force has added his apology; and we thank him as well, and accept it. To their voices I now add my own. Within the RSA, barracking between returned cohorts had been common. Even so, it was never RSA intention, or policy, to sanction less than proper recognition of returning servicemen. The problem here was one of degree, and of inattention. The blender again. And for allowing the blender to get an occasional upper hand at the local level, for not treating returning Vietnam veterans wholly in accord with our founding principles, I sincerely and honestly apologise. But apologies cannot re-write history, and I am very much aware of the dishonesty of suggesting that they might be enough on their own to erase the hurts of the past. Apologies will have real effects only if they are given with sincere commitment to action. The apologies we have heard in the last few days, including today, are of that character. The facts were finally exposed by an especially penetrating Select Committee report. After determined efforts by veterans and others, including politicians both of government and opposition, to ensure the findings were taken fully into account, the present government became the first to have listened, and the first to have taken significant action, in all of the time since our forces were withdrawn from Vietnam so long ago. At this point we must make special mention of the remarkable persistence over many, many years of a few committed veterans who kept the issues alive in the face of opposition, disbelief and, not uncommonly, downright ridicule. By sheer bloody-minded tenacity they finally came up with proofs. The Select Committee agreed that what they had been saying was right all along. And so they built the platform from which those who came later have been able to make progress. Those of this special group know who they are. The rest of the veterans assembled here today also know who they are. I won't name them. But I do salute them, and their grit. So should everybody. We need to remind ourselves, too, that in recent years the veterans' movement in general has rallied to the cause of Vietnam veterans. RSA and EVSA in particular have stood foursquare. Had they not done so, the gains made by the few over so many years would have been at risk once again. And there would have been no Memorandum of Understanding, or Tribute 08. And I am not at all shy of putting this effort in the context of atonement for past shortcomings. But it is atonement with a further purpose, since it has been clear from the beginning that some of the hoped-for outcomes would affect all veterans, of all wars, evenly. And so today we do have the Memorandum of Understanding. Not everyone agrees that what has been achieved goes far enough. But the balance sheet is positive. It is a very distinct improvement on what had gone before. And, although much that is in it quite properly focuses on Vietnam veterans and their families, there is also much in it for all veterans, not just for Vietnam veterans. Without the MoU there would be no modernising overhaul of the War Pensions Act by the Law Commission in consultation with veterans' organisations. That is a task as long overdue as the MoU itself. Without the MoU there would be no Expert Panel to examine in New Zealand terms the operational hazards that our service people have encountered in the past and will encounter in the future. The Expert Panel will very clearly be of as much value to the serving Defence Force as it will be to us who have served. And without the MoU there would be no review of Veterans' Affairs New Zealand. The decision on placement has been taken. Work is now under way on the other points named in the MoU – the functions, responsibilities, structure and resources of VANZ. These three are major gifts by the veterans of the Vietnam War to all veterans of all wars. They give us the machinery to deal with the present system’s shortcomings, provided we are wise enough to use the opportunities well. They also underscore that the MoU is not full and final. Thus we do have alongside the apologies a very distinct commitment to a better future for veterans and all who have served or are serving, and their families. I believe those commitments are genuine at the political level, and across the political spectrum. Having seen what we saw at Parliament on Wednesday, and have seen this weekend, it would scarcely be possible to conclude otherwise. I cannot of course guarantee that a future government, or a future Defence Force, will not revert to forgetfulness. One way of preventing this is further to strengthen the relationships with the government and its agencies that have sprung from the processes that led to the MoU – including the NZDF, which made us veterans. There is more work to do, but we are already well under way. Central to this, of course, will be the RNZRSA Affiliates, speaking in open dialogue and with one voice. But I can also pledge this. If the RNZRSA detects the slightest sign of sliding back into the jaws of the blender by a government or its agencies, we will expend every energy, exhaust every resource, and use every influence we can muster to reverse the slide. It is simply not acceptable to allow political nervousness or the absence of public concern to shape in any way the manner in which New Zealand soldiers, sailors or airmen shall be treated. That is what will not be allowed to happen again. And finally, to the citizens of Wellington and indeed to all of those up and down the country who have followed the events of this weekend so positively and encouragingly, thank you. You have given us great heart that the objectives I have referred to have been understood, and will be supported into the future. What a blockbuster of a weekend it has been. Even the rain has held off. What a terrific endorsement we have all received. Thank you to Chris Mullane and the Tribute 08 team. Wellington too has done us proud. So have the schools, choirs and other groups – Wellington College this morning, and others at other times, have put their hearts and souls into it. The Defence Force has granted huge effort for the weekend; there's a message in that. And what astonishing energy has been put into it by Te Atiawa. What a great responsibility it will be to ensure that we the veterans honour to a similar standard what has happened in these few days.